You probably already know about the big things. The charming architecture, iconic cable cars, beautiful bridges, and the rolling-yet-very-walkable city hills that make SF so gr8. In this city, you never know what you’ll discover over the next crest or around the next bend in the road. The little things. The big-but-hidden things. So we’ll have to give you a sneak peek. Here are five interesting, fun, and oh-so-San Francisco oddities that will help you understand why people love this place. And why you’ll love it too. The reward for visiting this SF gem is two-fold. First the 16th Avenue Staircase is beautiful — incredibly detailed and colorful. 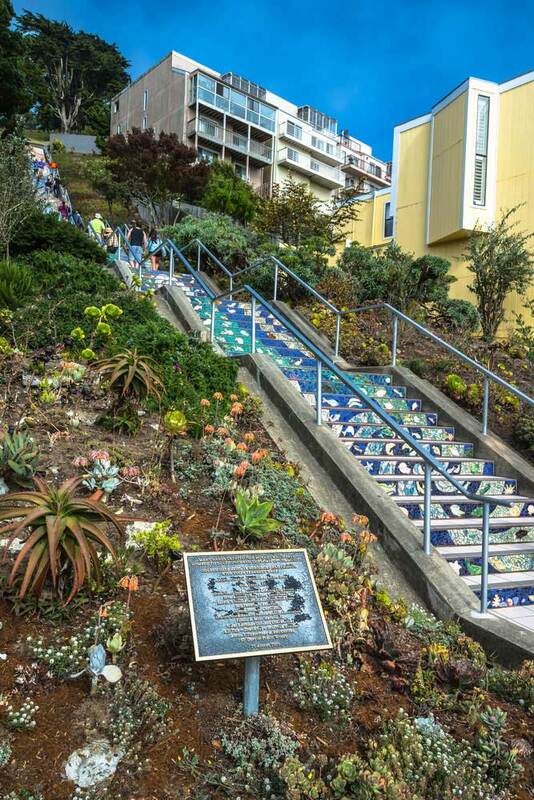 The mosaic staircase brings you on an intricate journey from sea-level scenes at the bottom then up through vibrant green scapes, all the way up to a moon at the top. Second, the view! Once you’re done, ahem, staring at the stairs and have climbed your way to the top — turn around! A beautiful view awaits! Cardboard is good for shipping stuff, building forts, and, in SF … speed! So bring some cardboard. It will make this urban slide adventure more fun. The slides have been in the park for over 50 years and were designed by a local teenager. First, get to Pier 39 and enjoy an incredible view of the bay. Then, once you’re there, head to Magowan's Infinite Mirror Maze for an infinite view of yourself. You might have noticed a theme in our list so far — SF locals love to create cool experiences for residents and visitors alike. This is a city of sharing, expression, and community. Magowan's is no different. It was founded by local software developer, Charles Magowan. This incredible installation has been around for more than thirty years. The Wave Organ is part of the Exploratorium at Pier 15. Located on a jetty in SF Bay, it’s one of the city’s most unique and unknown attractions. 25 organ pipes are at various points throughout the day by the tide and waves. It’s a great place for quiet reflection as you sit and gaze at the water. Expect peace, beauty, and a one-of-a-kind ambiance. 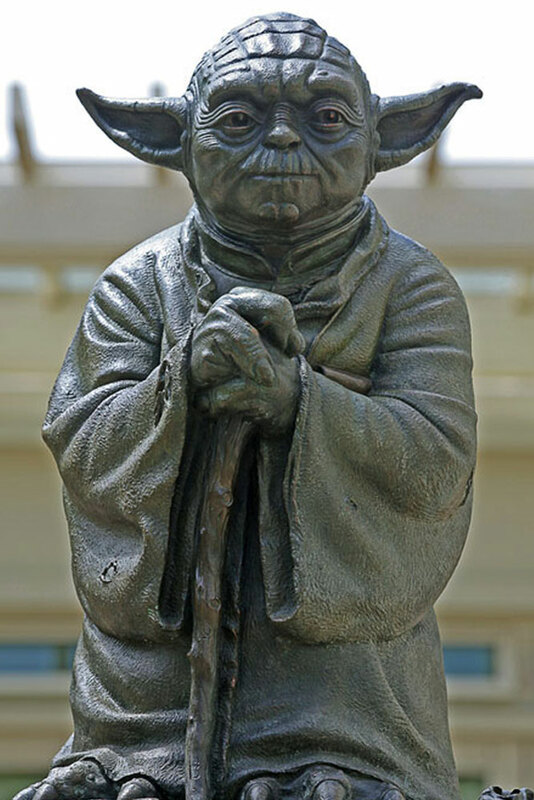 Ok, you may have known LucasFilm is here, but did you know about the Yoda fountain? The life-size Jedi statue stands just outside LucasFilm’s lobby, which you can also visit to see Star Wars memorabilia including a life-size Darth Vader. Not a Star Wars fan? Well, go anyway — all of this is located in SF’s famed Presidio National Park, which has a ton to see and explore.